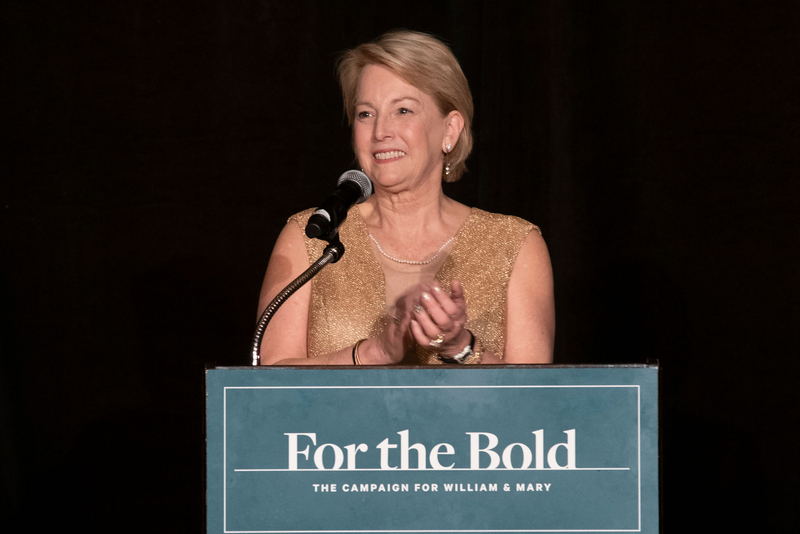 After a Charter Day Weekend — which included the inauguration of President Rowe, the re-nomination of Chancellor Gates '65, LHD '98 and a celebration of 326 years of William & Mary's history — we are ready to move forward with renewed enthusiasm. 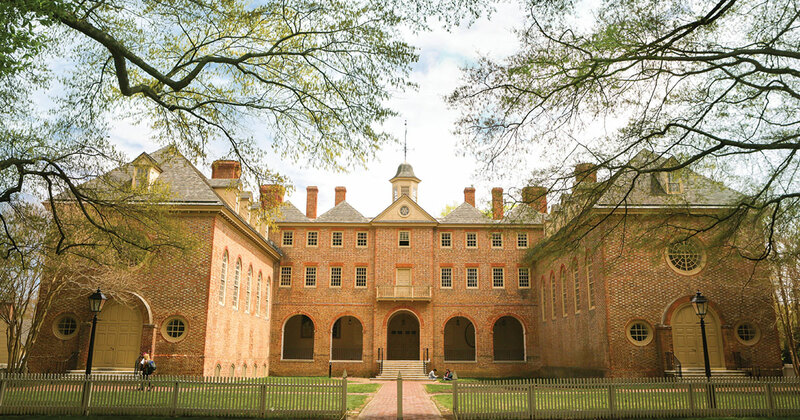 President Rowe encouraged William & Mary to play the long game. Our For the Bold campaign is one of many ways we are doing just that. We have set our ambitions high and our sights far, and together we have achieved tremendous success. I am happy to report that we have raised $838 million to date — thanks to your loyalty and generosity. We have many reasons to be proud, and it is inspiring to witness firsthand the collective power we have when we come together to support an effort so vital to our future. Excellence in the field of academic excellence, robust career and networking opportunities for alumni and exceptional experiences for students and faculty on and off campus — to name a few — depend greatly on your philanthropy and commitment to the Alma Mater of the Nation. I often talk about the importance of each and every one of them. Annual gifts are vital to advancing the university's mission. They really do matter! To that end, we will have the biggest and boldest One Tribe One Day ever on April 16, 2019, and I hope you will join us on your biggest day of giving and Tribe Pride. Currently, we are the No. 1 nationally ranked public university for alumni participation and for us to continue to hold that title, we need to beat last year's record of 12,770 donors who gave in one day. I know we can do this! W&M is ranked No. 5 for best undergraduate teaching. Year after year, we are ranked in the top 10. More than 85 percent of undergraduates report having a faculty-mentored research experience. W&M is ranked fourth highest among all public universities in the percentage of students who go on to earn science Ph.D.s. The university is ranked No. 6 by Princeton Review for best school for internships. Our MBA program moved up significantly in the national rankings to No. 30 among all full-time MBA programs by Bloomberg Businessweek. W&M has the lowest student-to-faculty ratio among all public universities in the nation — with a 11-to-1 ratio. For the second year in a row, W&M has the highest percentage of undergraduates participating in study-abroad programs among all public universities in the U.S. The Earl Gregg Swem Library was ranked by Princeton as the 13th best college library in the U.S.
William & Mary had nine teams rank in the top 10 percent of their sport for Academic Achievement Rates among all Division I programs and received a Public Recognition Award by the NCAA in 2018. The list goes on and you are making this possible. In this edition of the e-newsletter, we feature the most important stories in the history of your community. I hope you enjoy them! What's happening at the Alumni House?